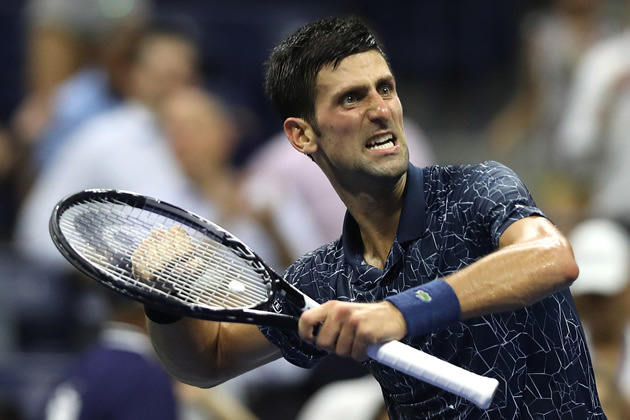 Novak Djokovic hailed Juan Martin del Potro as a "gentle giant" but he'll have no hesitation in attempting to cut his close friend down to size in Sunday's US Open final. Djokovic dispatched Kei Nishikori in the second semifinal 6-3, 6-4, 6-2. He will be in his 23rd championship match at the majors and eighth in New York. "He's a gentle giant," the 31-year-old Serb said of the 6ft 6in (1.98m) Del Potro affectionately dubbed the "Tower of Tandil" after his home town. "He really is. He's very tall, has a big game, but at the same time he nurtures the right values in life. He cares about his family. He cares about his friends. He respects everyone. "He fights every match from the first to the last point. I think people can relate to that and appreciate what he brings to the tennis. He treats others the way he wants others to treat him. I think that's why people love him." While Djokovic can pull level with Pete Sampras on 14 majors -- and move to within three of Rafael Nadal and six back from Roger Federer -- Del Potro's career at the Slams has been torpedoed by a series of wrist injuries. Now he goes into Sunday's final at a career-high three. "We all felt for his struggles with injuries that kept him away from the tour for two, three years. "But he was always a top five player in the eyes I think of everyone." But Djokovic will not under-estimate the 29-year-old who was two sets to love ahead of Nadal in the semi-finals on Friday when the world number one retired with a knee injury. "We have never played in the final of a Grand Slam and he's playing the tennis of his life, without a doubt, in the last 15 months," said the Serb.